Starting an event planning business requires you to engage in many different activities including marketing your business. One of the most tried and true methods of marketing an event planning business is through social media platforms like Facebook, Twitter, Instagram, LinkedIn, and Pinterest. Social media has become an integral part of any business, as it allows you to communicate with large numbers of people in real time, and show off your products and services. While social media can be an extremely valuable tool to use, there is a right and wrong way to use it. Here are some tips on how to use social media in promoting your event planning business. Social media makes it possible for you to give your business a human face and not feel too formal. Make your followers feel like a real person is behind the controls of your social media accounts. This relaxed form of communication tends to put people at ease and make them feel comfortable with you. Use people’s names and communicate directly with them whenever you get the chance. At the same time, you don’t want to be unprofessional. Don’t complain or over-share on your social media pages. You should also avoid using hard sales tactics via social media. If you continually post sales pitches on your social media, people will start to turn you off. Most people despise being sold to. Instead make 5 to 10 posts of helpful information and then one post talking about your services. To succeed on social media, you need to be able to have your followers pass your content along to their friends. Most people will not forward sales pitches, but they will forward value. Give them value as often as you can without spamming them. Social media can be a fantastic tool for networking. Event planners are typically very social people anyway and social media simply gives them a tool to be able to do so more effectively. Check in with people regularly and respond to comments on your social media profiles. Develop relationships with vendors and professionals in other industries that may be able to provide you with referrals. You never know who will need an event planned, so becoming friends with many different types of people should work in your favor. Put links to your Facebook page and other social media profiles in your email signature and in newsletters. You should put links or widgets on the footer of your website as well. This will help people that find your site stay plugged in by subscribing to your social media feeds. Doing this requires regular posting on your part. When you make posts, keep in mind that posts with photos and videos perform better than ones with text alone. 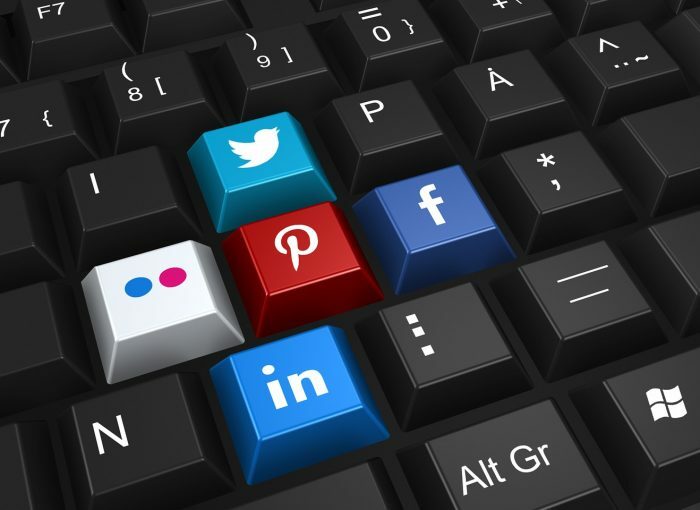 This social media strategy can help connect you with the right people to promote your business and buy your services. Your loyal social media contacts may be willing to help advertise your next event or show. Customers like to give feedback on social media for the whole world to see. It’s in your best interest to avoid being argumentative and take the feedback in a constructive manner. Avoid the temptation to prove them wrong or call them out in front of others. Your future customers will see how you handle yourself with your existing customers and they will make decisions based on that. Try to be positive at all times and act as if you’re working with a smile on your face. If you happen to make a mistake in the course of conducting business, don’t try to hide it. Just take responsibility and apologize for the oversight. People know that mistakes will happen. As long as you’re willing to accept responsibility and make things right, that’s what is important. The way that you deal with conflict says a lot about you as a person. Stay calm and respond professionally and it can win you more business in the future. What works great on one social media platform won’t work at all on another. Keep in mind the limitations and benefits of each platform when you’re posting. For example, Instagram and Pinterest work great for visual posts. LinkedIn is about business and networking, so keep your posts related to that. Facebook is a great place to share articles and links to relevant information. Twitter is a good place to share quick thoughts about your product, service or the industry. Regardless of which platforms you use, it’s important to utilize social media to help promote your event planning business. The ability to network with others, share information and get referrals could make all the difference in the success of your event business.